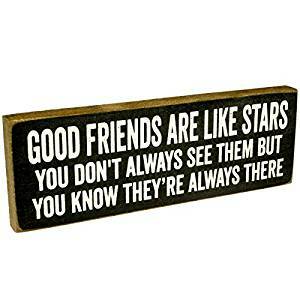 This sign is 12″ tall and 8″ wide made from outdoor durable plastic with professional grade vinyl graphics. 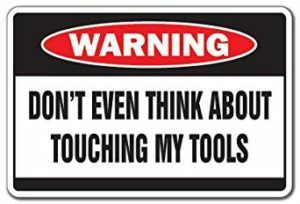 This sign is perfect for the tool lover in your family. Perfect inside or out (5 years outdoors)! 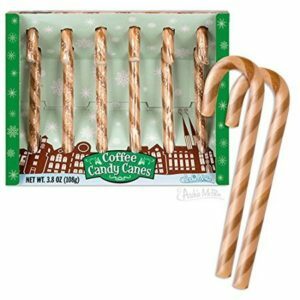 These brown striped candy canes have the flavor of a freshly brewed cup of coffee. After a long night of delivering presents, we’re betting Santa would rather have one of these than a cup of milk and a sugar cookie. 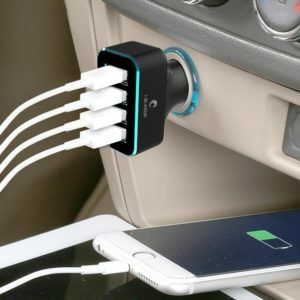 This devices leverages four smart charge enable USB ports for both iphone, smart phones, iPad, and tablets. Now there’s an easier way to clean your microwave without all the dangerous chemicals. 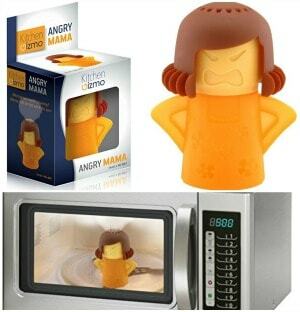 Simply fill Angry Mama with water and vinegar. While microwaving, steam will blast out of Angry Mama’s head softening grease and grime. 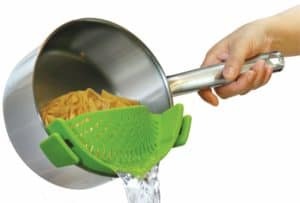 Easy to clean – top rack dishwasher safe. This cute design will be the perfect gift for any occasion! 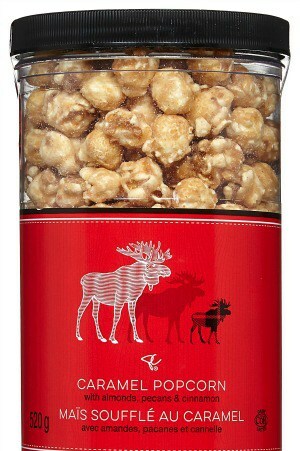 Irresistibly crunchy clusters of almonds, popcorn and pecans covered in buttery caramel and sprinkled with cinnamon — only $11.99! An LED reading light is the perfect gift or stocking stuffer. Perfect for adults or kids to attach to a book or iPad for some down time. The crisp, clean light is bright enough to illuminate a book without lighting up the entire room, making it easier for your partner to sleep while you read late into the night. 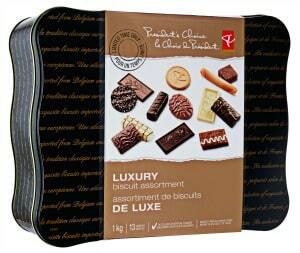 An exclusive selection of exquisite biscuits imported from Belgium and France, made in the classic European tradition. 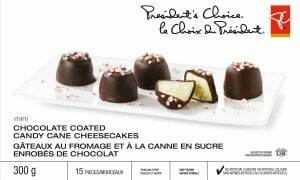 $18.99 at your local Shoppers Drug Mart. The perfect gifts for him and her this season from Quo. Complete manicure kits include: scissors, nail clippers, nail file, and tweezers. This wearable nail polish bottle holder is small enough to fit in your cosmetic case. Perfect for applying your nails anywhere – in a car, on a bed, standing, in a restroom, on a train or bus, at the pool or beach, on a couch or chair. Fits any bottle of polish and any finger! Let Kisses 4 Us ignite or rekindle the romance with your someone special. Randomly choose a kiss card and be surprised on what you might pick. Most kisses are family friendly so you don’t need to worry about the kids! 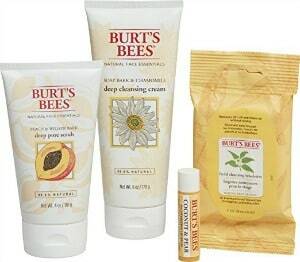 moisturizes skin during shaving, without the need for shave gel. It boasts an ergonomically designed handle, a pivoting head and four blades surrounded by a Skin Conditioning Solid™ containing Shea Butter to help achieve noticeably softer skin. Equip your most fashionable friend with the essentials to keep her day running smoothly. 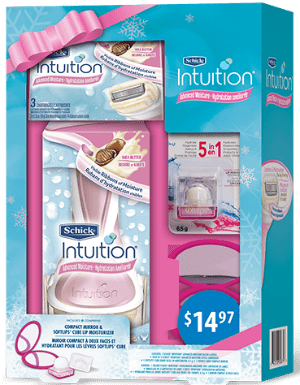 Schick Hydro Silk® is a uniquely-designed razor that goes beyond an incredibly close shave to help care for your skin. 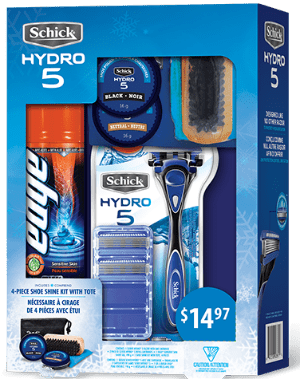 Schick Hydro 5 gift. 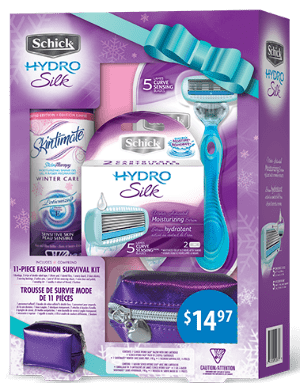 The Schick Hydro 5 hydrates skin for up to one hour after shaving and five Ultra Glide Blades with Skin Guards help protect skin from nicks and cuts. 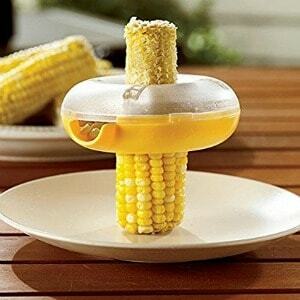 Easily remove kernels from the cob in one quick motion by pressing straight down. 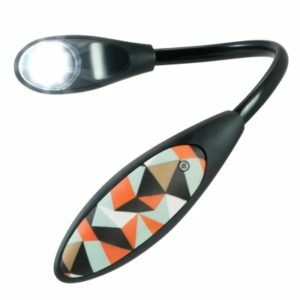 Hate fumbling around for a flashlight every time the power goes out? With Everbright you don’t need to. 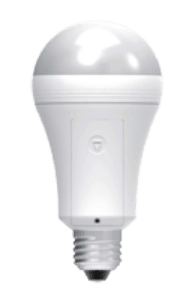 An LED light bulb with a built-in battery, Everbright will stay lit for up to 3.5 hours during a blackout. You can even turn it on and off just like you would normally, which will preserve the charge for even longer. 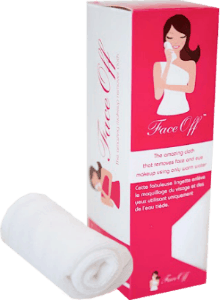 FaceOff is the all-natural reusable cloth that removes face and eye makeup using only warm water, eliminating the need for makeup removers, facial cleanser pads, wipes, oils and creams. The cloth will not only wipe away all makeup, dirt and grime but also leave your skin feeling refreshed. Gentle enough for babies and everyone! 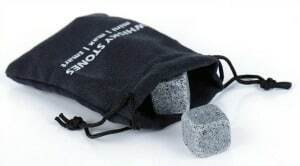 Cooling Stones is the best choice for chilling a drink without ice. They cool your drink perfectly without the dilution from melting ice and are a great gift for anyone who loves the perfectly chilled beverage. 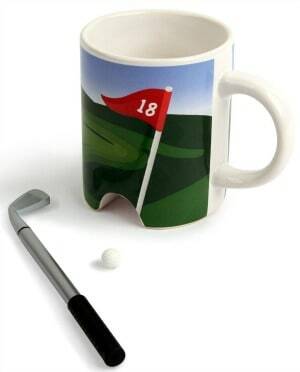 Now you can putt all year long with this Golf Mug and pen putter. Measures 6 by 4-3/4 by 5-1/2-inch. 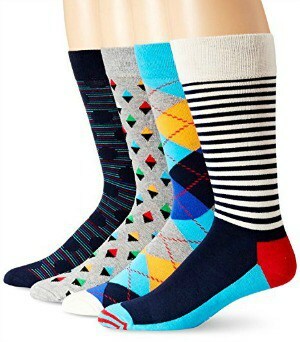 Buy fun and colorful socks for every occasion! With over 150 unique and colorful designs, you will not be able to choose your favorite! 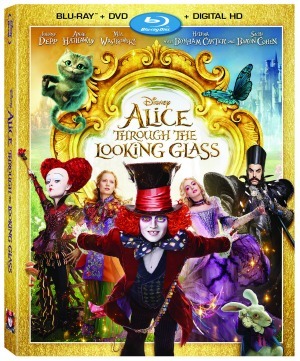 The all-star cast from the 2010 blockbuster is back with Johnny Depp as the Mad Hatter who’s desperately searching for his family; Anne Hathaway as Mirana, the kind, mild-mannered White Queen; Helena Bonham Carter as Iracebeth, the short-tempered, big-headed Red Queen; and Mia Wasikowska as Alice, the heroine at the heart of the story. 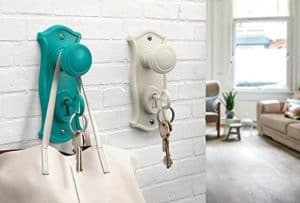 Add beautiful decor and functionality to your entrance with these gorgeous doorman key holder and hook. Perfect for keys and purses. 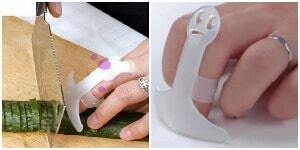 This finger protector will keep your fingers safe while using sharp knives in the kitchen! 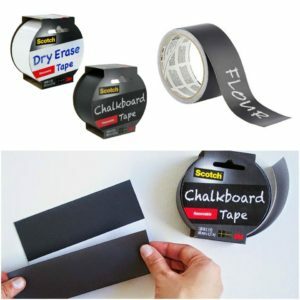 Scotch Chalkboard Tape and Dry Erase tape is a removable tape that’s easy to use. The chalkboard and Dry Erase tape can be used for a wide variety of things, like labeling flower pots, posting daily menus and to-do lists, making message boards in the home office or kitchen, labeling storage containers, crafting, decorating/personalizing gifts, and creating kids projects. 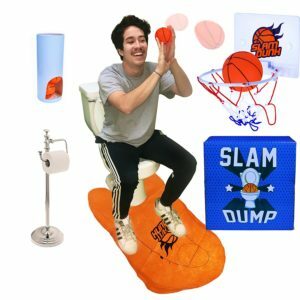 Slam Dump comes with a hoop and backboard that you can stick in your bathroom and some mini basket balls some balls. Theres a good chance a dad, or someone who knows a dad will think this box set is funny. No feeding, no whining, no bathing, no stains, no odors, no vet bills — no problem! 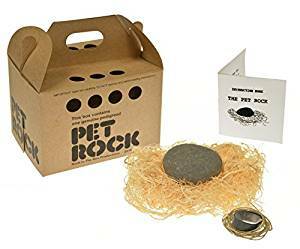 Pet rocks need lots of love and a good home. 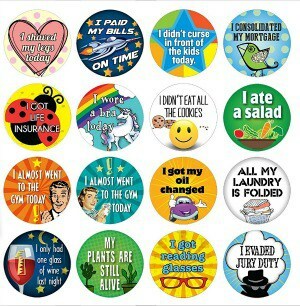 Treat someone special to the perfect gift: hilarious adult achievement stickers. This 16 pack of stickers will be the hit of any party. Adulting is hard, you deserve recognition for a job well done. Brushing your teeth with a strip of fried bacon is tricky. If it’s too crisp it will break apart as you brush and if it’s too limp you won’t be able to remove any of the plaque. So when it’s time to brush your teeth, leave the bacon strips for breakfast and try this Bacon Toothpaste. It’s the perfect way to keep your teeth and gums healthy while coating your mouth with the delicious flavor of smoky meat! The Perfect Decor – This Charming Sign Makes An Eye-Catching Accent For Your Home or Office. Great to Freestand on a Desk or Hang Flush on the Wall. The Perfect Gift – Makes a Unique Birthday, Housewarming, or Just Because Gift That Will Warm Your Friend’s Heart. 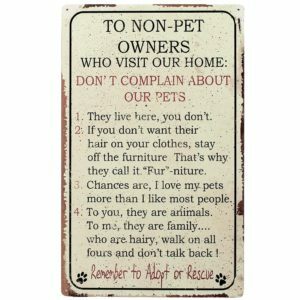 Four funny rules for people who don’t have a cat, dog, or a pet of their own when entering the home of an animal lover. This Metal Sign measures 10 x 16 inches and weighs about 1 lb. This silly toilet-shaped mug holds up to 12 -ounces of your favorite hot beverage and will make your co-workers do a double take. 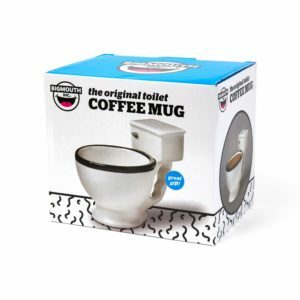 The hand-painted Toilet Mug makes a great gag gift for any coffee or tea lover and will gross out anyone who has a weak stomach.